The Storybook Calendar Gift Set consists of a wall calendar and weekly planner each illustrated with an overhead view of children at play or rest during each of the seasons. This circular story book wall calendar is ideal for a classroom, child's bedroom or any room that has a child friendly atmosphere. This wall calendar fits into a standard mat with an 11 x 14" opening. It is printed from one of my original pastel illustrations and hand lettered with a combination of pastel and ink. The perfect gift for a teacher or a mom. 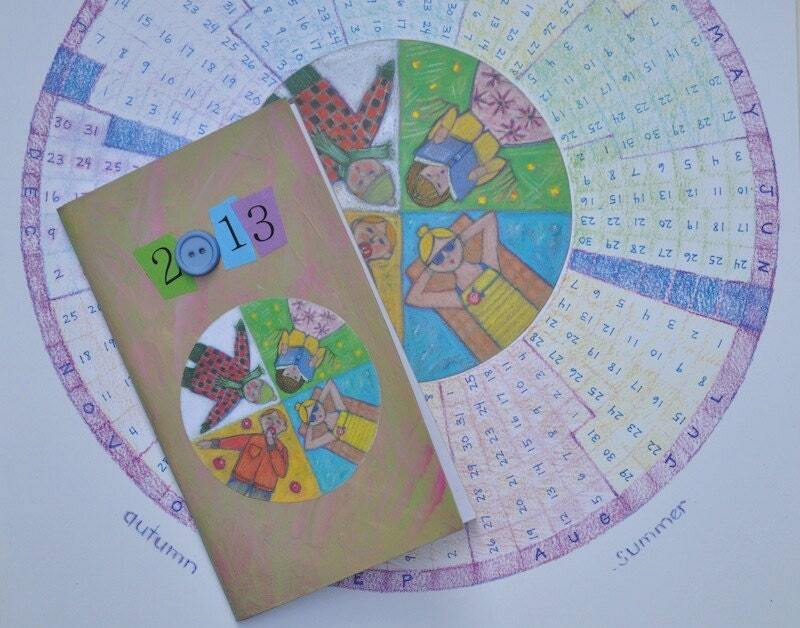 The weekly planner has a hand painted and collaged cover. The inside cover and back are lined with the pattern shown in the last picture. 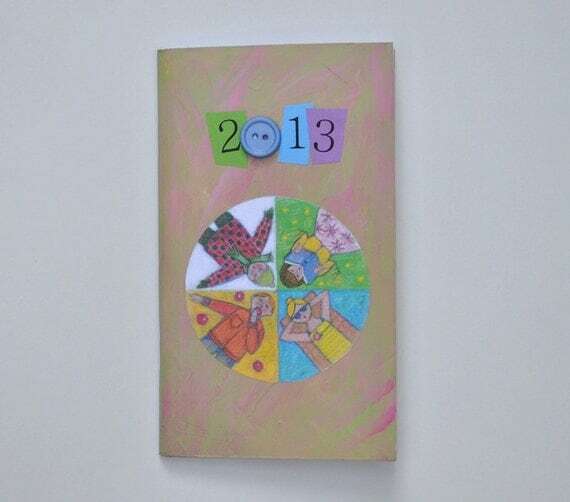 Each planner is unique and measures approximately 6 1/2 x 3 3/4 inches. Each gift set is enclosed in a handmade envelope for easy gift giving.